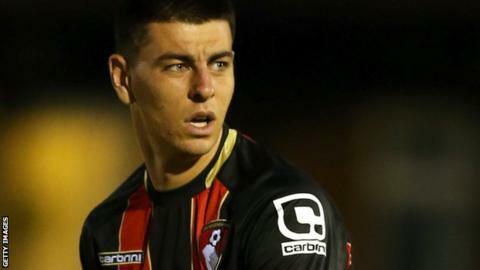 Woking won for the seventh time in nine National League matches to consign Wrexham to a fourth straight defeat. The visitors took an early lead when Keiran Murtagh's shot rebounded off the post and trickled over the line after hitting goalkeeper Rhys Taylor's back. A sublime Dominic Vose free-kick soon brought Wrexham level, but Joe Quigley finished a low cross to restore the lead after the break. Bruno Andrade added a third after pouncing on Taylor's poor clearance. "We can't keep a clean sheet. The actual overall performance wasn't good enough to win a football match. It was no different to what it's been in the last three games. "I wouldn't say things aren't going our way - we've got to be better as a group of players and I've got to be better. "I've changed the system a couple of times to try to get a result and try to get a clean sheet that will allow us to win a game." "I keep saying it every week, we've got a lot of young players with energy in the side and have a lot of belief. "They play with no fear and we are now a very dangerous side when we attack and break on the counter-attack and we've shown that. "We've got a small squad and there aren't any favourites with me, you've got to earn what you get. "I talked to Giuseppe Sole before the game, and with Dan Holman leaving the club this is his chance to grab because he's got to play football and he's got to be knocking on my door of the first team doing a job for this club. He's got to work hard for 90 minutes and he's certainly done that." Match ends, Wrexham 1, Woking 3. Second Half ends, Wrexham 1, Woking 3. Substitution, Woking. Andrew Mills replaces Bruno Andrade. Foul by Joe Quigley (Woking). Sean Newton (Wrexham) is shown the yellow card. Attempt saved. Bruno Andrade (Woking) right footed shot from the right side of the box is saved. James Gray (Wrexham) is shown the yellow card for a bad foul. Goal! Wrexham 1, Woking 3. Bruno Andrade (Woking) left footed shot from outside the box to the bottom right corner. Substitution, Wrexham. Adriano Moke replaces Rob Evans. Attempt saved. Simon Heslop (Wrexham) right footed shot from outside the box is saved. Attempt missed. Keiran Murtagh (Woking) right footed shot from outside the box misses to the left. Attempt missed. Rob Evans (Wrexham) left footed shot from outside the box misses to the right. Attempt missed. Joe Quigley (Woking) left footed shot from the right side of the box misses to the left. Substitution, Woking. Godfrey Poku replaces Giuseppe Sole. Attempt missed. Dominic Vose (Wrexham) right footed shot from outside the box is too high from a direct free kick. James Gray (Wrexham) hits the woodwork with a header from the left side of the box. Attempt missed. James Gray (Wrexham) header from the left side of the box misses to the right.